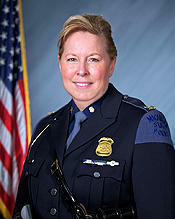 Snyder says the post was “inappropriate,” but he considers the matter settled. A group of Kalkaska residents says their community supports a recall of village president Jeff Sieting. Kalkaska for Peace formed after posts on Sieting’s Facebook page went viral in June. In one post, Sieting compared Islam to “a flesh-eating bacteria,” and called for nuclear weapons to be used on Muslim cities. 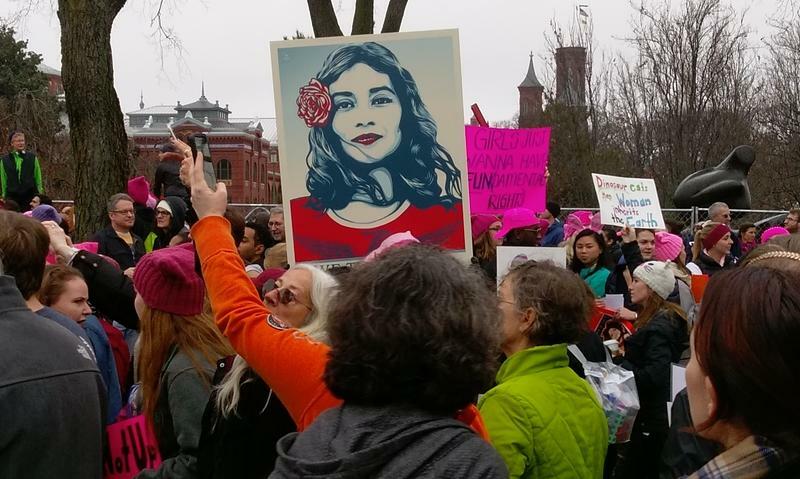 “We were very concerned about the type of publicity that Kalkaska was receiving, and we wanted to do something about it,” says organizer Elizabeth Dunham. Protesters plan to gather in Kalkaska Friday to speak out against Islamophobic Facebook posts made by the village president. 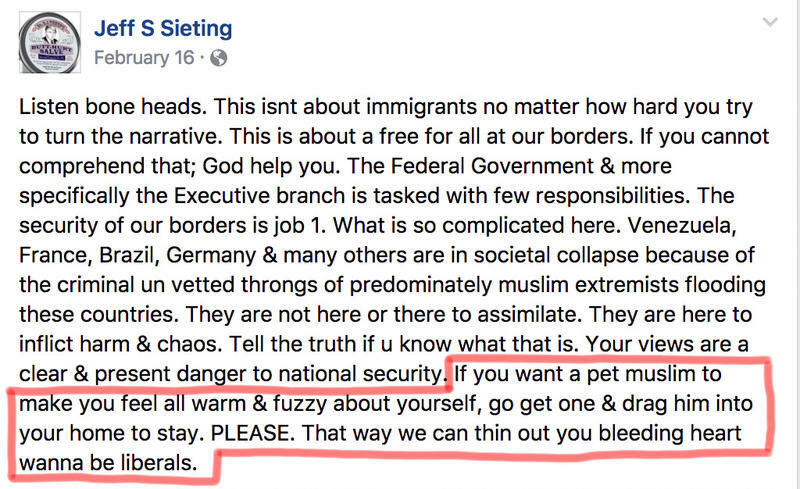 Jeff Sieting frequently posts content on his Facebook page directed against Muslims, immigrants and liberals. The organizers of last month's Women’s March on Washington are out to prove that it wasn't just a one-off event. A second "action" is in the works, followed by eight more during the first 100 days of the Trump administration.